Interesting? 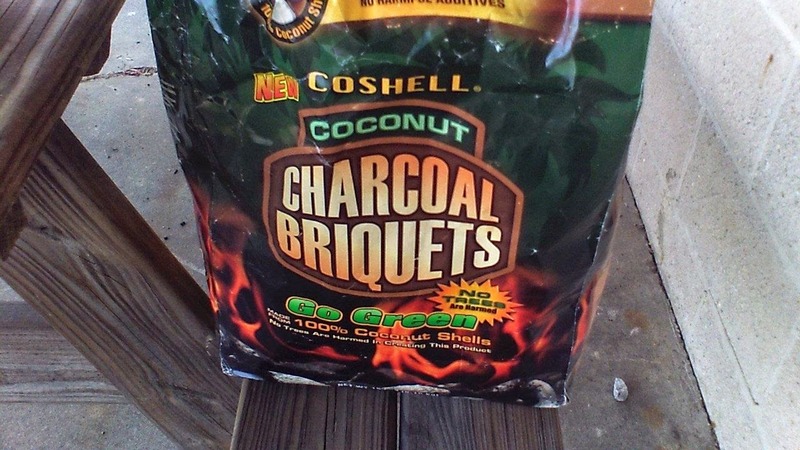 It's a coconut shell based charcoal, bound together with cornstarch. We thought we would give it a shot. You can see some of the results over at our cooking blog at onboard cooking. The charcoal burns very very hot, and for quite a long time, but we did find it a bit of a bear to get started with a chimney starter, and it takes quite a bit to come up to temperature. Still and all, it works well, and though I still prefer natural lump charcoal, this is a good, tree-friendly alternative. We've been doing quite a bit of exploring recently, now that we have our little Intex licensed and legal. 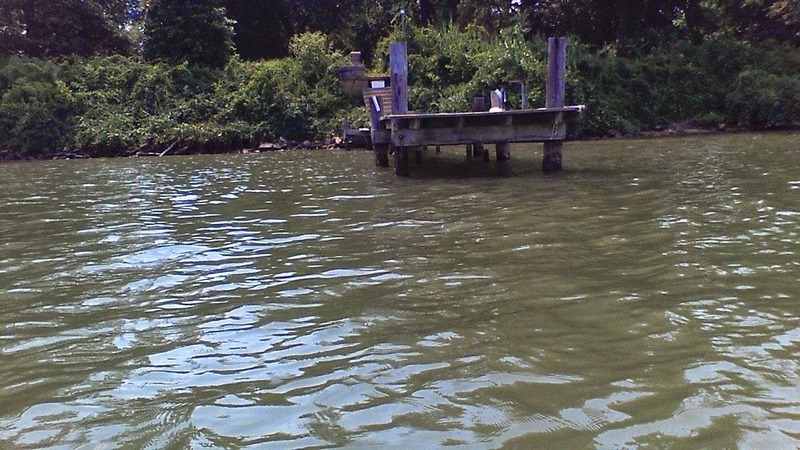 The little electric inflatable has taken us all along the banks of the Middle River, exploring things marked as "Ruins" on the marine maps, places with abandoned docks peopled only by ducks and ospreys.